Medicinal mushrooms are known since ancient times for their exceptional health benefits. Recently, medicinal fungi turn into a mainstream commodity to improve health and to boost energy. In order to experience the full spectrum of health supporting effects of medicinal fungi, compounds such as polysaccharides must be released from the mushroom cells. Ultrasonic extraction is an excellent technique to isolate bioactive compounds from botanicals, such as Reishi, Lions Mane, Cordyceps, Shiitake, Chaga etc. Medicinal fungi have been established their status as superfood and nootropic due to their extraordinary effects onto the cognitive functions and immune system. Beside their health and cognitive boosting effects, medicinal mushrooms are used to prevent and treat diseases (e.g. cancer, diabetes, inflammation etc.). The most well-known species of edible fungi are Chaga, Reishi, Lion’s Mane, Cordyceps, Shiitake, and Maitake. The most prominent health effects, fungi have been shown to boost immunity, increase nerve growth factor (NGF), improve endurance during physical activity as well longevity. The bioactive compounds, which cause the health-boosting effects, are polysaccharides such as 𝛼-glucans and 𝛃-glucans. The profile of glucans differs between the specific fungi species and is responsible for the specific use of different mushrooms to achieve various effects. For instance, Lion’s Mane promotes the nerve growth factor (NGF), while the Cordyceps fungus improves endurance, and Reishi supports the immune system and longevity. 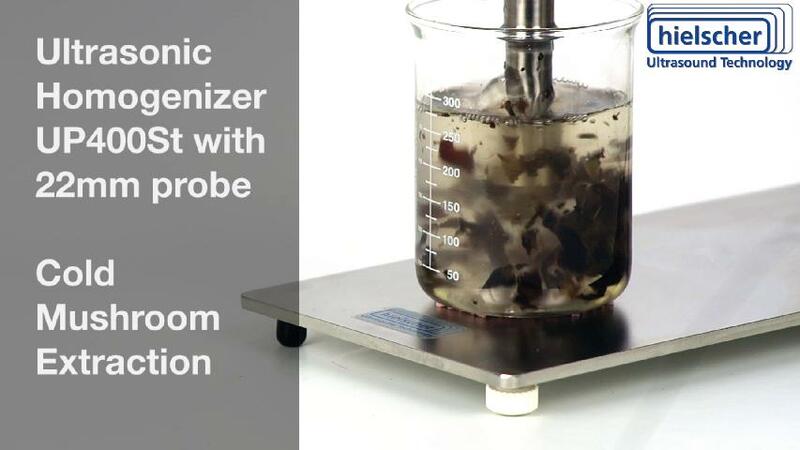 To isolate polysaccharides (such as alpha-glucans and beta-glucans), triterpenes and other bioactive compounds from medicinal mushrooms, ultrasonic extraction is the most convenient, effective, and efficient technique. Other beneficial components found in many edible mushrooms are selenium, vitamin D and vitamin B3. By intense ultrasonication, the cell walls of fungi (which are made of chitin) are perforated and lysed so that the chemical compounds such as polysaccharides, vitamins etc. are released into the surrounding solvent. Ultrasonic extraction is highly efficient releasing the full spectrum of bioactive compounds within a very short extraction time in comparison to traditional extraction techniques. After extraction, the bioactive compounds can be separated and purified by filtration, distillation / evaporation and precipitation in order to prepare highly concentrated, highly effective mushroom extracts. Those mushroom extracts are later processed into medicines, dietary supplements, functional food ingredients, tinctures, and tonics. A huge advantage of ultrasonic extraction is the broad selection of solvents to choose from. Ultrasonically assisted isolation of phytochemicals and bioactive compounds can be performed in solvents such as water, ethanol, methanol, isopropanol, water/ethanol mixtures, glycerine, vegetable oils etc. Depending on the targeted compounds to isolate, ultrasonically assisted extraction can be performed in water or solvents such as ethanol, methanol, isopropanol etc. Since mushrooms contain mostly water-soluble target compunds and only a few non-water soluble components, a water extraction is commonly the preferred method. Solvents with a high alcohol percentage are used specifically to isolate extracts high in triterpenes. SonoStation – an ultrasonic system with 2x 2kW ultrasonicators, stirred tank and pump – is excellent for the extraction of large quantities. Ultrasonic process parameters are crucial when it comes to the isolation and recovery of phyto-chemicals. 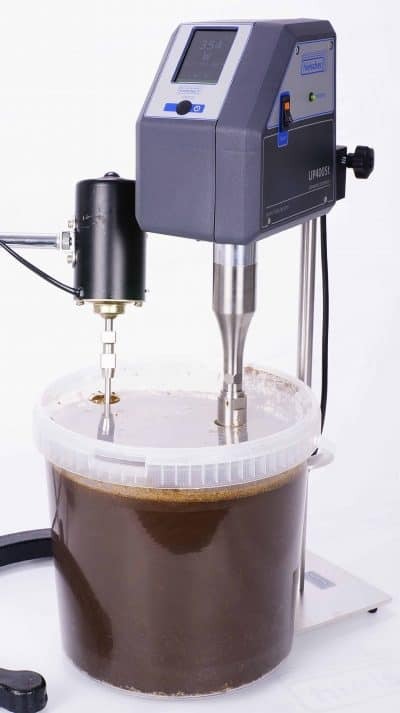 First, ultrasonic parameters such as amplitude, pressure, and temperature are important factors to tune the extraction process to highest yield and quality. Secondly, precisely controlled process conditions ensure that the extracts are not degraded by too strong process impacts. For instance, botanical compounds such as polysaccharides are prone to degradation when exposed to high temperatures. Hielscher Ultrasonics’ extractors can be exactly controlled – by setting amplitude, pressure, temperature to optimal conditions. This allows for reproducible outcome, extract quality, and process standardization. Research (Alzorqi et al.) has shown that (1-3; 1-6)-β-d-glucans of Malaysian mushrooms extracted by ultrasonication have a higher antioxidant activity, higher molecular weight and optimal degree of branching when compared with extracts produced by conventional extraction techniques. Hielscher Ultrasonics is long-term experienced manufacturer of high-performance ultrasonicators, which are successfully applied for isolation of bioactive components from botanicals and fungi. With a product line covering the full range from smaller hand-held ultrasonicators to bench-top and pilot systems to fully industrial units, Hielscher Ultrasonics is your partner who assists you from first feasibility test and process optimization to the final installation of your industrial production line. In order to release bioactive compounds from botanicals, high amplitudes might be required – especially when sturdy cell walls must be perforated and lysed. Hielscher Ultrasonics’ ultrasonic processors, e.g. UIP500hdT or UIP2000hdT, can run very high amplitudes of up to 200µm. These high amplitudes can be run continuously in 24/7 operation, of course. The robustness of Hielscher ultrasonicators ensures a hassle-free 24/7 operation at heavy duty and in demanding environments. 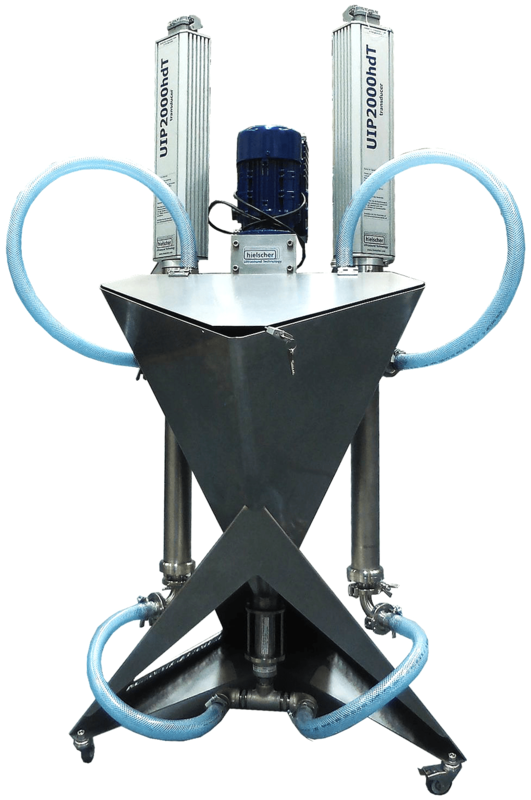 High-power ultrasonic extractors from lab to pilot and industrial scale. Alzorqi I., Sudheer S., Lu T.J., Manickam S. (2017): Ultrasonically extracted β-d-glucan from artificially cultivated mushroom, characteristic properties and antioxidant activity. Ultrasonic Sonochemistry 2017. 531-540. Alzorqi I., Singh A., Manickam S., Al-Qrimli H. (2016): Optimization of ultrasound assisted extraction (UAE) of β-D-glucan polysaccharides from Ganoderma lucidum for prospective scale-up. Resource-Efficient Technologies 2016. Khan, A.A., Gani A., Masoodi F., Kousar S., Ahmad M. (2014): Antioxidant and Functional Properties of β-Glucan Extracted from Edible Mushrooms Agaricus Bisporus, Pleurotus Ostreatus and Coprinus Atramentarius. Proceedings of the 8th International Conference on Mushroom Biology and Mushroom Products (ICMBMP8) 2014. Vardanega R., Santos D.T., Meireles M.A.M. (2014): Intensification of bioactive compounds extraction from medicinal plants using ultrasonic irradiation. Pharmacogn Rev. 2014 Jul-Dec; 8(16): 88–95. The ultrasonic extraction is a simple, inexpensive, rapid and efficient technology, which intensifies liquid-solid extraction and excels traditional extraction techniques. The main advantages of ultrasonic solid–liquid extraction are based on faster extraction kinetics and mass transfer as well as on an increase of the extract’s yield. Another benefit is the opportunity to run the extraction process at lower temperatures preventing thermo-sensitive compounds against degradation. In comparison with alternative isolation techniques such as microwave or supercritical CO2, the ultrasonic extractor is lower in cost (for both, purchase and operation) as well as user-friendly and safe to operate. 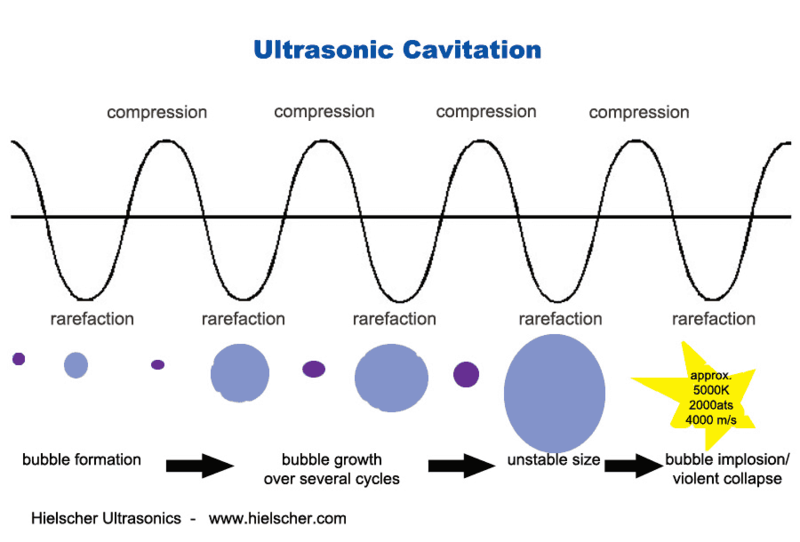 Ultrasonic extraction is based on acoustic cavitation and its hydrodynamic shear forces. Hielscher Ultrasonics’ systems create intense ultrasonic waves and cavitation for the extraction of photo-chemicals from botanicals. 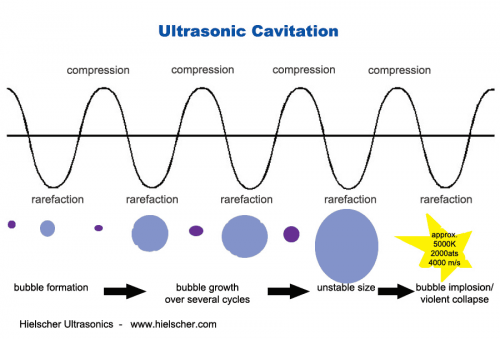 Acoustic cavitation – the phenomenon of ultrasonic processing: When intense ultrasonic waves are coupled into a liquid medium, compression and expansion cycles are applied to the fluid. During the expansion (rarefaction), vacuum bubbles or cavities occur in the liquid. These vacuum bubbles are created when the exerted negative pressure exceeds the tensile strength of the fluid. Over various compression / rarefaction cycles, the vacuum bubbles are growing until they reach a point where they cannot absorb further energy so that they collaps violently (bubble implosion). During the bubble implosion, extreme conditions such as very high temperature and pressure differentials, liquid stream and shear forces occur locally. These intense forces break cells (of vegetals and tissue) so that the intra-cellular material (e.g. polysaccharides, terpenes, proteins, flavones etc.) are released into the solvent. The process of formation, growth and collapse of the vacuum bubbles is known as cavitation. Fungi is the botanical term for all members of the group of eukaryotic organisms which include microorganisms such as yeasts, molds, as well as mushrooms. Especially in traditional medicine (e.g. Asian / Chinese medicine), fungi are administered to induce manifold effects such as cognitive improvements, immune system booster or to achieve longevity. Nowadays, medicinal mushrooms are not only used as alternative drug but fungi extracts are consumed as functional foods or superfoods, too. For instance, fungi such as maitake, cordyceps, turkey tail, reishi are ingested to take advantage of their effect as immunomodulators. Several fungus species such as Psilocybin mushrooms (colloquially known as magic mushrooms) are used for their psychedelic properties. Mushrooms are not plants and they are classified into the kingdom of fungi. Polysaccharides are important bioactive compounds found in medicinal fungi. They are used as biochemically active compounds for pharmaceutical and nutraceutical administration, having positive effects such as immune regulation, to reverse or prevent radiation damage, anti-blood coagulation, as well as anti-cancer, anti-viral, and hypoglycemic activities. The fungi-derived polysaccharides lentinan, schizophyllan, and krestin have been accepted as immunoceuticals (drugs that boost the immune system) in Japan, Korea and China. Besides polysaccharides, fungi contain phenols, heteropolysaccharides, glycogens, vitamins and triterpenes amongst other beneficial components. In Chaga mushroom, which is also known as Inonotus obliquus or Black Tree Fungus (more colloquially called cinder conk, birch conk, clinker polypore), polysaccharides are the most prominent active compounds. Chaga’s polysaccharides have a very strong antioxidant activity scavenging free radicals. Lion’s Mane (Hericium erinaceus) is an edible and medicinal mushroom belonging to the tooth fungus group. Lion’s Mane is known for its neuroprotective and nootropic effects meaning that Lion’s Mane is used improve memory and cognitive functions. Reishi (Ganoderma lucidum, also known as Ling Zhi / Lingzhi, Mannentake, Mushroom of Immortality) is a polypore fungus, which is easily recognized by its red-varnished, kidney-shaped cap. The Reishi fungus produces a group of triterpenes so-called ganoderic acids. Ganoderic acids exhibit a molecular structure which is similar to that of steroid hormones. Furthermore, other compounds found in Reishi include polysaccharides (e.g. beta-glucan), coumarin, mannitol, and alkaloids. Sterols isolated from the mushroom include ganoderol, ganoderenic acid, ganoderiol, ganodermanontriol, lucidadiol, and ganodermadiol. From a culinary perspective, Reihi is known for its bitter taste and it is often consumed in coffee beverages. Shitake (Lentinula edodes; colloquially termed as Black Forest Tree Mushroom, Xiang Gu, Fragrant Mushroom) is widely used as ingredient in Asian dishes. When administered for health reasons, Shiitake boosts the immune system and results in a significant decrease of inflammation. 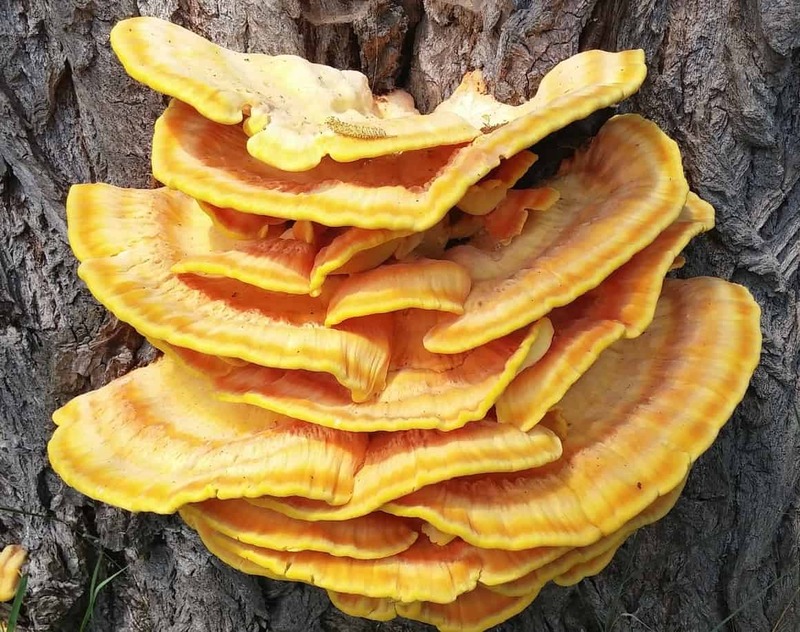 Coriolus versicolor (Trametes versicolor, Polyporus versicolor; colloquially called Turkey tail mushroom, Yun Zhi, Kawaratake) contains polysaccharides PSK, PSP, and Kresin as well as B-1,3 and B-1,4 glucans. The polysaccharides are used to improve immune function in patients with certain cancers when used along with chemotherapy. In traditional Chinese medicine, Turkey Tail is used as a tonic. Cordyceps sinensis (Ophiocordyceps sinensis; also known as Chinese Caterpillar Fungus, Dong Chong Xia Cao, yartsa gunbu) is another fungi with exceptional antioxidative properties. Cordyceps contains strong antioxidants that neutralize harmful free radicals and enhances the activity of the body’s innate antioxidant system, too. Maitake (Grifola frondosa; Cloud mushroom, Hui Shu Hua, Hen-of-the-wood, ram’s head, sheep’s head) is a polypore fungus which has been shown to stimulate both the innate immune system and adaptive immune system. Research found that Maitake stimulates the immune systems of breast cancer patient. Furthermore, it shows blood sugar lowering effects since the fungus contains an alpha glucosidase inhibitor. Agaricus subrufescens (also known under the terms of Agaricus blazei, Agaricus brasiliensis, Agaricus rufotegulis; colloquially almond mushroom, mushroom of the sun, God’s mushroom, mushroom of life, royal sun agaricus, jisongrong, or himematsutake) is an edible mushroom, which is characterized by its sweet taste and fragrance of almonds. The Agaricus mushroom is a popular medicinal fungus, mostly used for its immune system boosting effects.